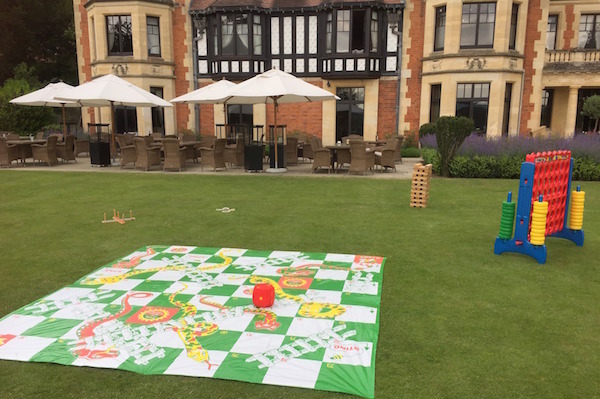 Giant Snakes and Ladders is based on the classic board game and is an ideal accompaniment to any children’s party. This game is played between two or more players on a huge 9ft x 9ft PVC play mat. 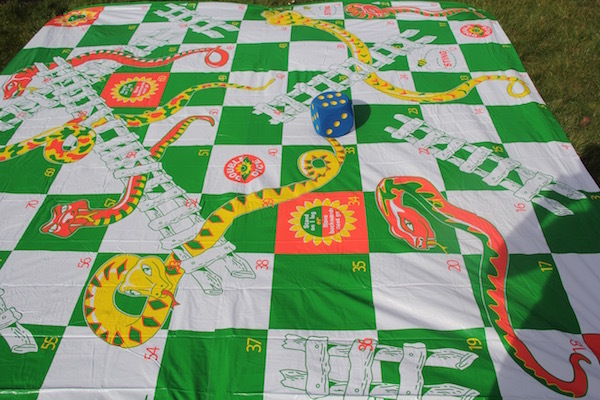 A number of “snakes” and “ladders” are pictured on the mat. 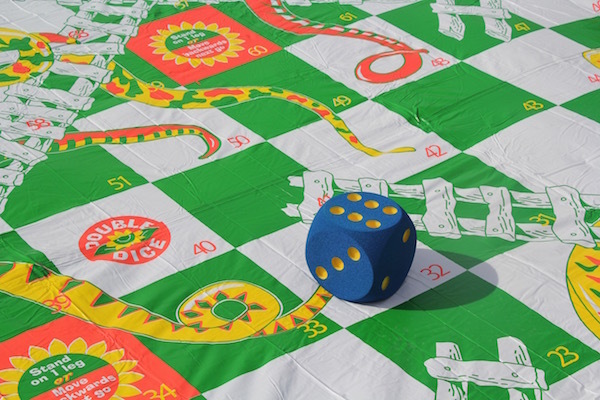 No counters are required as the players navigate themselves, according to die rolls, from the start (bottom square) to the finish (top square), hindered or helped by the snakes and ladders respectively. 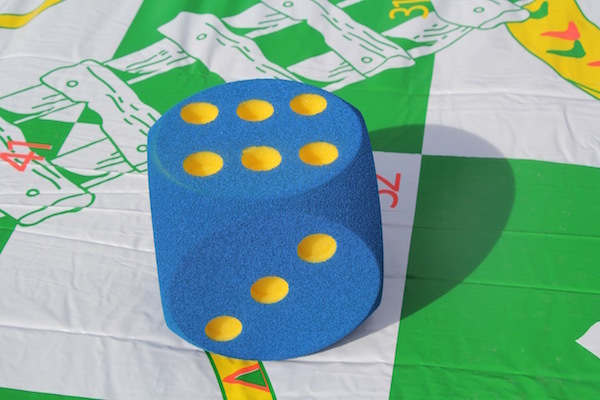 A large foam or inflatable dice is supplied. 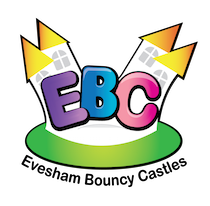 This is a seriously fun game and is suitable for indoor use or outdoor use (preferably on grass).